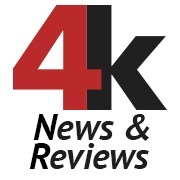 Founded by tech enthusiasts, 4k.com is dedicated to providing the latest news and reviews of 4k products such as TV's, Camera's, Monitor's, Camera's and much more. Our goal is to write in-depth and well-rounded reviews. in order to provide detailed information on 4k products and the latest developments in the sector. The photo has been viewed 13684 times.